It’s no secret that our Indian television industry is filled with the most gorgeous and handsome looking men who literally make women go weak in their knees, but what’s surprising and amazing is the way some of these TV actors not just embraced fatherhood, but rocked it like a pro too. 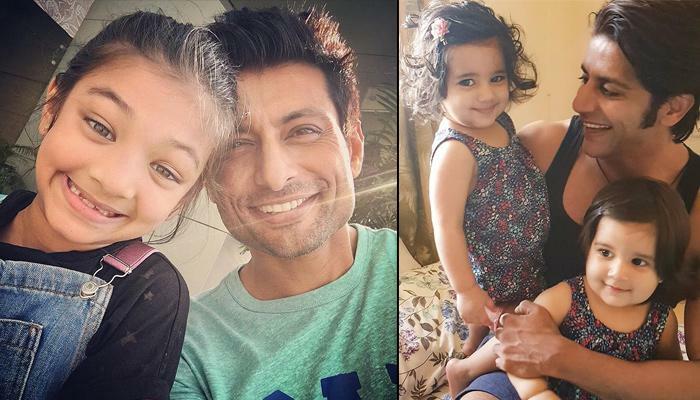 From pouting to making duck faces to enjoying and working out with their tiny buddies, these television dads can be totally termed as the coolest dads on the block. They never shy away from going a tad bit crazy with their chubby-cheeked babies and show the world how fatherhood is done! Scroll down and see 10 fabulous looking television dads who are sure rocking fatherhood like anything! This father-son pair had to be our first pick considering the amount of cuteness these two exude on social media! Arjun who was seen playing a pivotal role in Indian supernatural drama series, Naagin is married to his longtime girlfriend, Neha Swami. The couple is parents to an adorable little man named Ayaan. 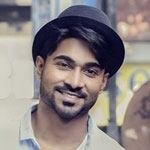 This handsome actor who is known for several serials like Hip Hip Hurray, Kahiin Toh Hoga and Kumkum Bhagya is married to Kanchi Kaul (who was seen in Ek Nanad Ki Khushiyon Ki Chaabi...Meri Bhabhi). Together the couple has two very adorable baby boys, Azai and Ivaar. This man with the most striking dance moves may be busy with his reality shows, but every time he poses with his little tot, Hamdan, it’s a treat to the eyes. Salman married his longtime girlfriend, Faiza Haramain, an air hostess, in 2013 and the couple welcomed their cutie pie in 2016. His Instagram account is a testimony of how awesome fatherhood is! Here’s one video of Salman and Hamdan which is beautiful on too many levels! “Now, when she cries, I say papa has come. This way, she recognises me and stops crying. That’s an amazing feeling. She recognises my voice." On Father’s Day 2016, Sharad shared a picture of the personalised present that his little one gave it to him. Kesha went an extra mile to impress her papa, and made a card which said, ‘Papa Hero’. Aww.. isn’t it adorable? With his debut Kaisa Ye Pyar Hai, he garnered a lot of female fan following and women went crazy over his killer looks. Mohammed Iqbal Khan smashed those hearts when he married a Punjabi girl, Sneha Chhabra. After getting married on January 15, 2007, the lovebirds got blessed with a baby girl in 2011 whom they named, Ammaara Khan. From the time he became a daddy, Iqbal sure has owned this whole game like anything. He goes swimming with her and he walks the ramp with her, and while at it, he sure makes fatherhood look like the best thing in the world! Indraneil married to his Pyaar Ke Do Naam; Ek Radha Ek Shyam co-actor, Barkha Bisht is not just a perfect husband but a perfect and awesome-looking dad too! The couple’s little one, Meira came into their lives in 2011 and since then, this family looks picture-perfect. Indraneil’s Instagram account is filled with all the fun he has with his Mrs and the small princess. When mommy is busy, Indraneil dons the super-dad avatar and takes out his princess on bike rides and even attend premieres. Now, that’s what ruling fatherhood looks like, right? Manav Gohil and Shweta Kawatra got married in 2004 and became proud parents to a daughter, Zahra in 2012. Since then, this handsome dad has been stealing all the thunder, courtesy his absolutely amazing pictures with the little one. Just like his peers who are rocking fatherhood, Manav too makes for one effortless dad. From bike ride to family vacays and cutesy selfies, this man sure qualifies for someone who is adding all the fun and thrill to fatherhood. Arjun J Punjj married his Sanjivani co-star, Gurdip Kohli in 2006 and welcomed a daughter Meher in 2010 and a son, Mahir in 2015. The actor treats his little munchkins as his buddies. And his Instagram account proves it too! Their cool vacation pictures and their candid selfies make him look like one of the coolest television dads. Their photos, videos and selfies are too amazing and infectious, to say the least. Here's one video when the little one just came into the world. “There is no greater blessing than a baby girl.girls r blessing from heaven #proudfathermoment”. The proud and doting daddy, Lavanya Bhardwaj's family is now complete with his two daughters, Dakshita and Pratistha, and a loving wife, Dede Frescilla by his side. The famous and beloved television actor and host, Jay Bhanushali and his Balika Vadhu fame wife, Mahhi Vij walked down the aisle in 2011, and after 6 years of marital bliss, the lovebirds entered into a new phase of their lives. Jay and Mahhi decided to adopt their caretaker’s children and fund their education. Despite being busy with his professional commitments, Jay always makes sure to spend time with the children and make the best of the time with them. From taking them to birthday parties to enjoying Mumbai rains with them, the doting dad does it all. "They are with me for the last 3-4 years and I don't really talk about them a lot because I really believe that when you do a good deed, there is no need to blow the trumpet because then that deed is of no use. I don't feel uncomfortable talking about them as they are very close to me and I don't want them to know that I am taking care of them. They call me 'dadda' and call their real father 'papa.'" Hiten makes sure to fill his children, Nevaan and Katya’s lives with love and laughter. “Abhinav became Palak's father first and my husband later. It's him as he pampers her a lot and lets her be. I am a protective mother, who freaks out when a boy visits her at our home or if she wears short dresses." "I've realised a couple of things in the past few months..
One is, that raising a child is not only a full time mother's job, but a father has an equal part to play, too. I've consciously made it a point, that as much as I'm giving time to my work, I will also spend a lot of time with my babies, coz this is the time you build that bond with them, this is the time they need their Mom & DAD. "The feeling has still not sunk in. I am not thinking about the responsibility of being a father. I am just waiting for October 17th when I can fly down to meet my kids. As they say that every child carries his own luck and my kids are very lucky for me. Since the time Divya got pregnant, all good things have happened to us." Ever since Ssahir and Saishaa are born, Kinshuk’s Instagram handle is filled with the adorable pictures and videos of the tiny tots. Actor-Comedian, Krushna Abhishek and actress, Kashmera Shah welcomed twin boys into their little world on June 3, 2017, through surrogacy. An elated daddy Krushna is on cloud nine ever since the arrival of his kids. Krushna and Kashmera named their adorable twins as Krishaang K Sharma and Raayan K Sharma. Dr Abhimanyu Modi of the television series Dill Mill Gayye, Amit Tandon found the love of his life in a doctor, Ruby Tandon. 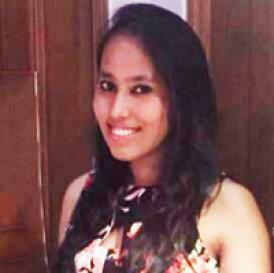 Ruby is a dermatologist by profession and she met Amit through social media. After tying the knot in 2007, Ruby and Amit embraced parenthood in 2010 and named their daughter, Jiyana. Though Amit and Ruby have now parted ways, they make sure that it doesn’t affect their daughter and they got her joint custody. They want to raise their daughter together in a positive environment. The doting dad makes sure to be with his daughter on every special occasion. Yeh Rishta Kya Kehlata Hai fame Karan Mehra garnered a major fan following with the portrayal of Naitik in the show. He broke millions of hearts when he announced his wedding with Nisha Rawal. Karan and Nisha exchanged their wedding vows on November 24, 2012, and were blessed with a little baby boy, Kavish Mehra on June 14, 2017. From twinning with the little one to celebrating all the special occasions with him in a unique way, Karan is enjoying his fatherhood phase to the fullest. These dads sure give a new definition to fatherhood, don’t they? If we have missed on any uber-cool television dad, do share with us in the comments section below.